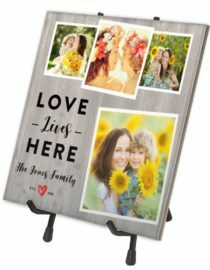 A custom ceramic photo tile is a unique way to showcase your favorite photo or a collage of beautiful moments. 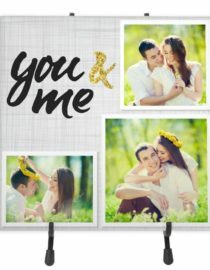 Now you can take it one step further with one of GoodPrints customizable themes. 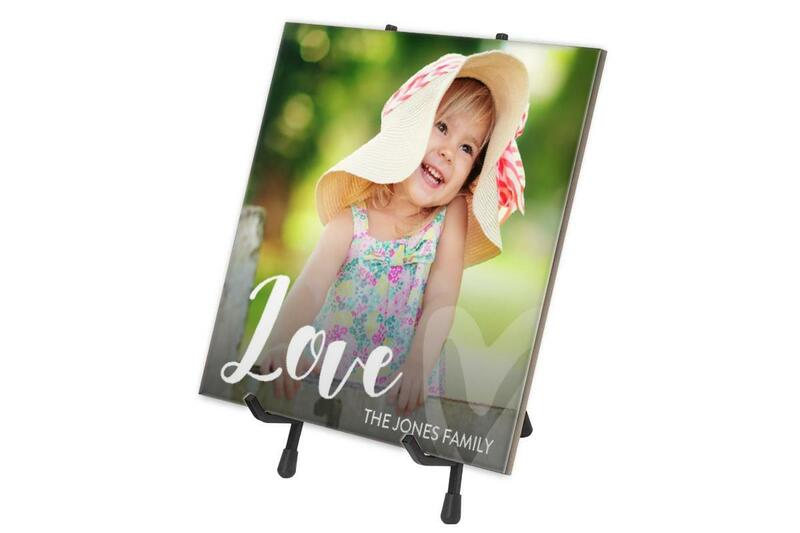 The Love Script personalized ceramic photo tile features the photo of your choice, with a stylish Love overlay, and a section for customizable text. Add in a family name, favorite saying, or anything else you can think of, the sky’s the limit. 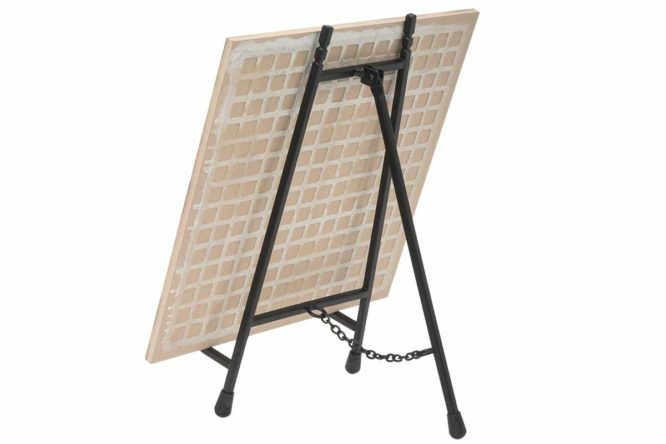 Each tile is custom made to order and comes with a stylish black easel stand for that perfect desktop display.